Important Venice tourism information! 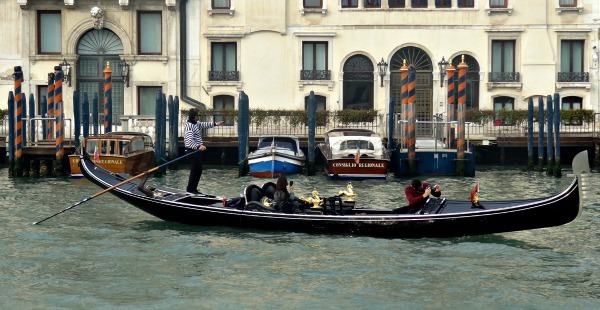 Do you know why people get stressed on their Venice holiday? They don't prepare enough. Especially for Venice you need to know what to expect. With my information and this site I try to give you a simple view about what to know. And... Why not start with your daily expenses during your Venice stay! Church: € 2,80 to 3,80 for access to one of the great churches. Coffee: € 2,00 for an espresso. 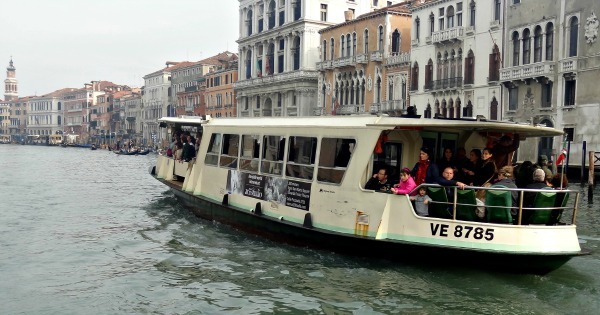 The vaporetto boat; is a great transport system which brings you down and up the the grand canal. Every 200 to 500 meters it has a stop near your Venice destination. Line 1 has the most stops. There are several day cards which are called the 'TravelCard'. You can get them with a discount. A total of 20 lines reaching all major points and connecting the lagoon islands. A single ticket costs € 7,50: This service is certainly not cheap, but in advance you can purchase the tickets here. Airplane: The International Airport of Venice Marco Polo is situated in Tessera. A place near Venice Italy. Public transport buses are departing every half hour from the airport Marco Polo to Piazzale Roma (bus express service no. 35 about € 6,00 and bus service no. 5 approximately € 1 plus additional charges for baggage). This is the same for Treviso airport. 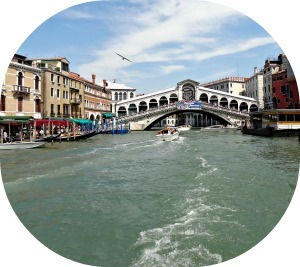 Read about "From Airport to Venice…"
Shuttle service: ATVO shuttle buses run both to and from Marco Polo Airport (€ 15, - for a return ticket € 8, - single) and Treviso Airport (€ 22, - for a return ticket € 12 , - only) . ...Thinking about the best Venice tourism information,, the most practical transport inside Venice are the water buses (vaporetto). Other important Venice Tourism Information! Azienda DI Promozione Turistica (APT): The central starting point of tourist is the Venice Pavilion. It is close to the vaporetto station ‘Vallaresso. It is both an information center, bookstore and ticket office. Money: Banks are open Monday to Friday from 8.30 to 13.30 and 14.30 to 15.30. There are plenty of ATMs and easy to find. The major credit cards are accepted almost everywhere. 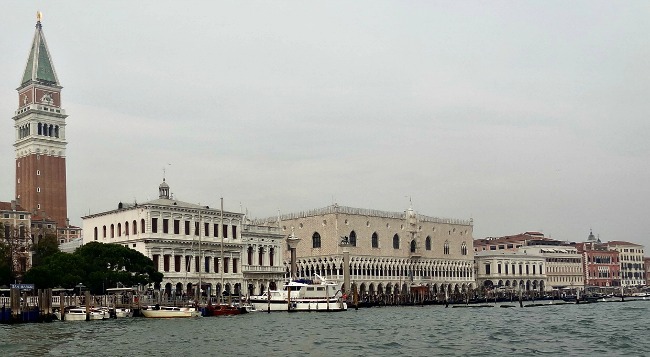 High Water in Venice: In the winter the ‘acqua alta’ is part of an everyday life. If a flood threatens, the city sirens will let you know. The flood is usually gone after a few hours. On some vaporetto stations you can find a map which is showing the route of wooden platforms. The route of wooden platforms will keep your feet dry. We have shown you our best Venice tourism information. There is plenty to tell, as you will read. Please click on the links to explore our site more and get even more information about the different topics.